This is also known as Indian Celery or Pushki. I was skeptical about this one, but I was pleasantly surprised and plan to harvest some more of this next spring since I know where to find lots of it. Native Indians used to harvest this plant and use it in many different ways. It can be used in many different recipes. Young one coming up in spring. 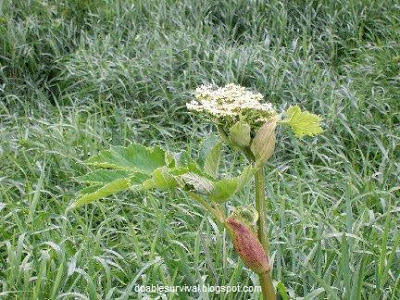 As with most plants, these are best and most tender before the flowers open. 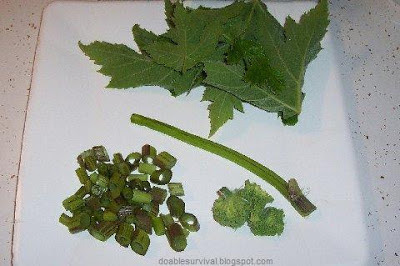 The young leaves can be eaten raw or cooked, but I think they are best cooked. You will have to try it and see for yourself. The stalks can be eaten raw or cooked and used the way you would use celery, which has endless possibilities. 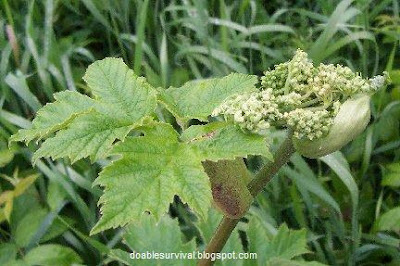 The flower buds, before opening, can be eaten boiled. They can be a little strong, so you can change the water a couple of times. Seeds, flower buds, and young leaves can also be dried and used as seasoning. 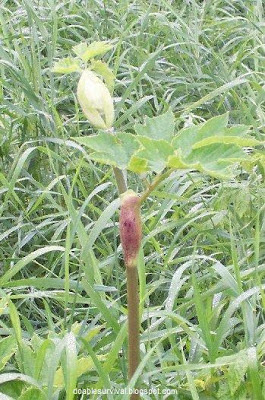 Stalk with unopened flowers at the top. 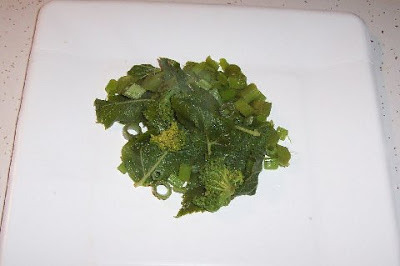 I steamed some unopened flower buds with some young leaves and cut up stalks all together, and they tasted pretty good. I tried the stalk raw also, and I liked that the best. The root is also edible and best from fall to early spring, but many people find it to be too bitter. It was apparently harvested by the Indians quite a bit. I didn't try this part yet. Dried stems can even be used for straws in the wilderness. experience of what it tastes like; but this would be very good in different recipes. Warnings: This plant uses a chemical called furanocoumarin as self-defense against fungus. 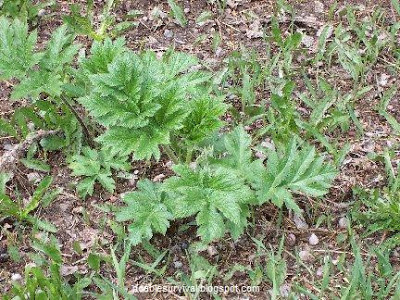 The sap and fine hairs on the outside of the plant, if it gets on you and then is exposed to sunlight, can cause burns and blisters. You want to use gloves when harvesting it. 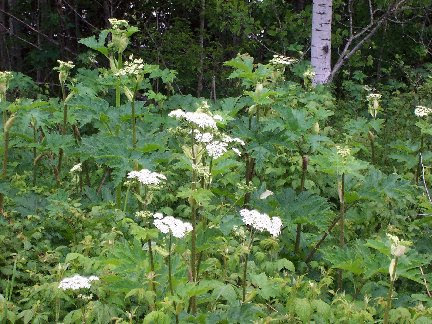 I see many warnings about not confusing this with Poison Hemlock; but they look quite different unless you are just looking at the flowers, which you should never do to identify a plant anyway. The leaves are quite different, so you really don't need to worry about confusing them if you know what the leaves look like.